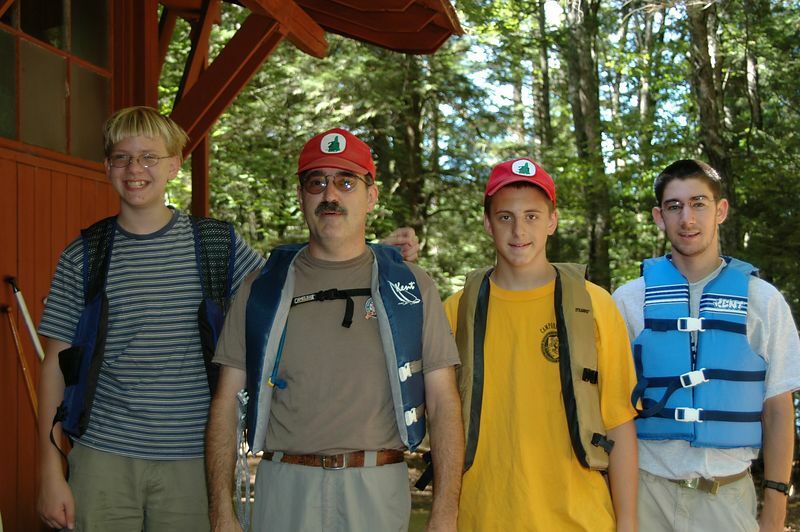 Boy Scout Troup 21, from Hudson, NH, split up into two groups of four people each. This group, self named "B", used two canoes. The other group, self named "Dibble" and shown in the next picture, used four single person kayaks. The two groups started at a few minutes apart and split up once they reached the lake.